I’ve had this idea in my head for a while, ever since I saw this Candy Buttons post by the Amazing SugarBelle . I never particularly cared for candy buttons when I was a kid, but The concept of it has always been intriguing. Candy arranged neatly on a peice of paper. But what if it was decorating something instead? That’s how I came up with this!! 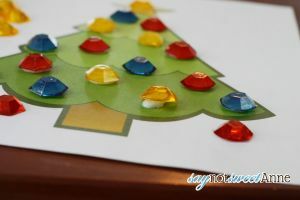 Using the idea of candy buttons and some hard candy gem molds, I’ve used royal icing to secure these beautiful candy ornaments to the tree. All together the process was super simple, and made so many gems! 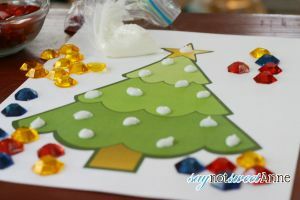 This would be something great to have set up at the Kid’s table at Christmas, or to give away to classmates. But think of the possibilities! Jeweled princess crowns as a little girl’s birthday favor! Glittering jewels in a treasure box for a boy’s favor. I’m just so tickled about it! 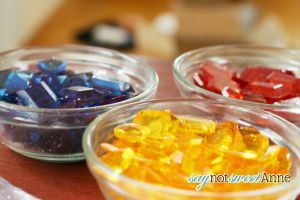 NOTE: You could also make this with store bought hard candies. They might be a little too big for the tree- but it would save some time! 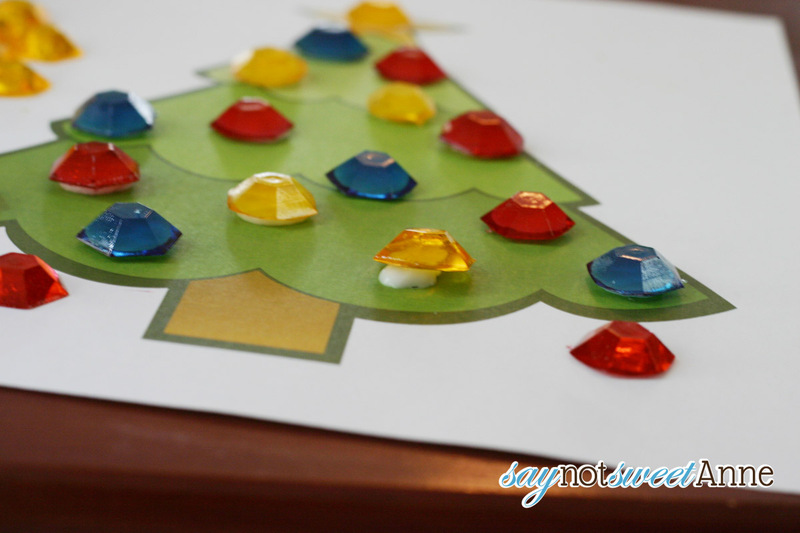 Print out your tree on heavy cardstock. Dot your tree with little globs of icing. Be careful not to use too much or it’ll squish out from under your jewels. Place the jewels on the icing and wait for the icing to dry. 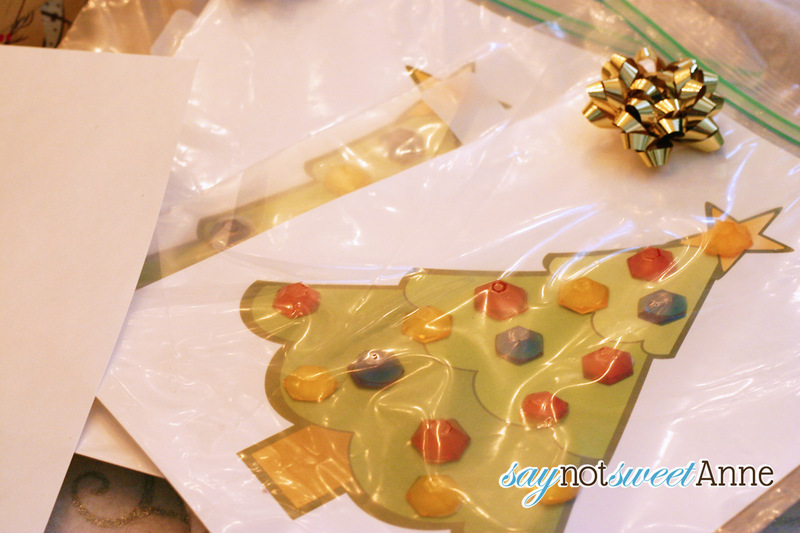 Package in a pretty gallon zip-top bag and finish it with a pretty decoration! What a fantastic idea! 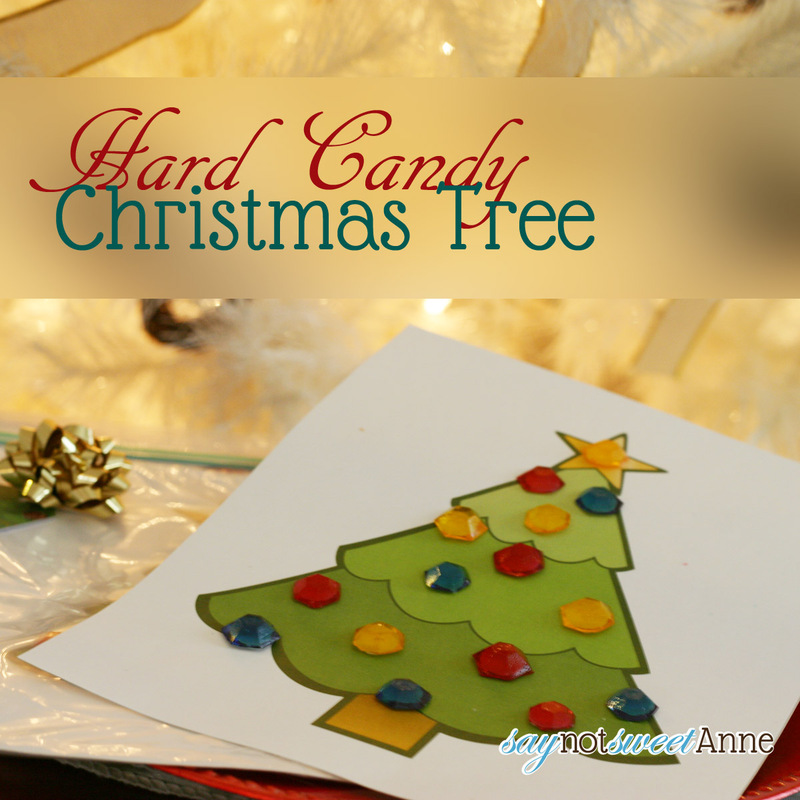 We’re tickled pink that you were able to use our hard candy recipe in such a fun and unique way. We love it. P.S. 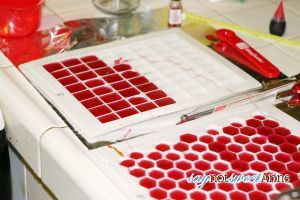 We’ve learned recently that candy thermometers can get inaccurate over time, which may lead to the problems you had with the temperature. To calibrate yours, putting it in boiling water, which should read 212 degrees F. If it doesn’t, then take note of how far off it is in either direction and adjust your temps next time. Hope that helps! Oh my gosh- thanks for the tip! I actually used a brand new thermometer this time (I accidentally broke my oldie) and right on the thermometer it says 300 is hard crack, and 270 is soft crack. Weird huh? Can I use silicone molder for hard crack candy? It depends on the mould. Some are rated for 300˚ temps, and others are only meant for low-temp chocolate or sometimes ice cubes. The candy is HOT. I would be certain the mould is approved for that use first!